Just a sampling of the colors available in HALO. 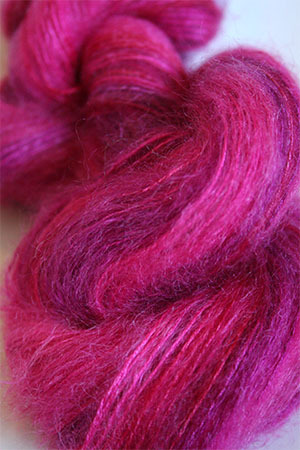 We have forever been a fan of Artyarns Laceweight Slik and Mohair Yarn - it's a beautiful Lace Weight Knitting yarn. 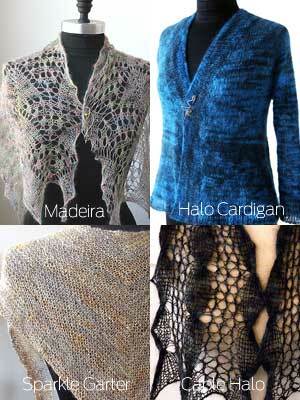 Now, however, they have introduced HALO - a fantastic heavier weight of the same blend yarn. Knits up at a DK gauge, this beautiful silk/mohair yarn is featured in Artyarns Newest Knitalong, the May HALO knitalong, on Ravelry. Available now, only at FAB. Free INSTANT DOWNLOAD pf the Halo Collection - 4 Projects featuring HALO! Please enter color number/name below! Included with this purchase - the HALO Collection Ebook!